nationalist who characterizes Islam as a global threat. applaud them for doing so. community has no place here. 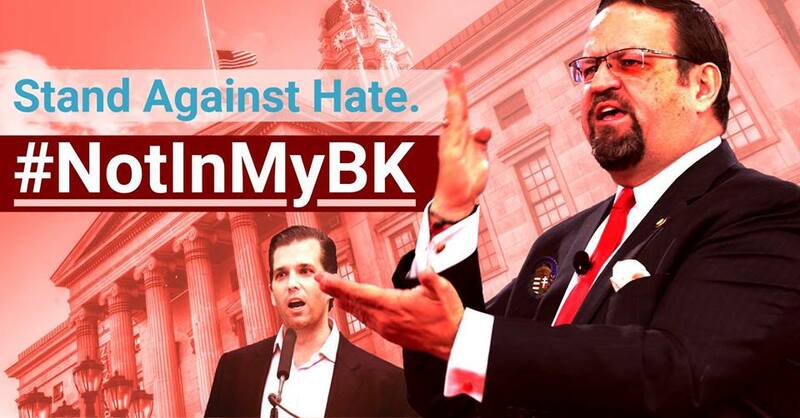 will be there to meet Gorka, and all guests of this event, by exercising our First Amendment right to free speech in the form of public protest. Sebastian Gorka is a neo-fascist and his views fit in with Donald Trump’s view of the KKK, white supremacist’s and the fascists at their demonstration in Charlottesville, VA last year, who he described as being “nice people”. Based on their ideaologies, none of them are nice people. Evidently, the Brooklyn GOP has aligned itself with those “nice people”. Shame on you!